A report published by the Truth, Peace and Justice Commission on Friday indicated that, of the victims, 246 were men, 11 women and 13 children. 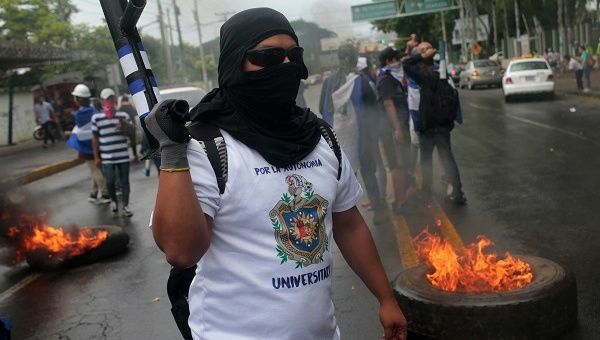 August 3 (teleSUR) The death toll from the riots that rocked Nicaragua for more than three months has climbed to 270, according to the Truth, Justice and Peace Commission. A report published by the commission on Friday indicated that, of the victims, 246 were men, 11 women and 13 children. The majority of victims were killed on weekends, with 52 deaths reported on Saturdays and 47 deaths on Sundays. People between the ages of 16 and 25 comprised the highest number of deaths (100), according to the report. Of the 13 minors who died, 11 were boys and two girls. Vice-President Rosario Murillo said Friday that progress was being made on consolidating national peace and security in the wake of the violence. Protests initially broke out in April at state plans to increase social security contributions in order to bridge a budget deficit. Those protests were quickly co-opted by violent opposition groups, which then called for the resignation of President Daniel Ortega. Despite the government rolling back its social reforms and calling for peaceful dialogue, several months of ensuing violence inflicted considerable damage on the nation’s economy and infrastructure.